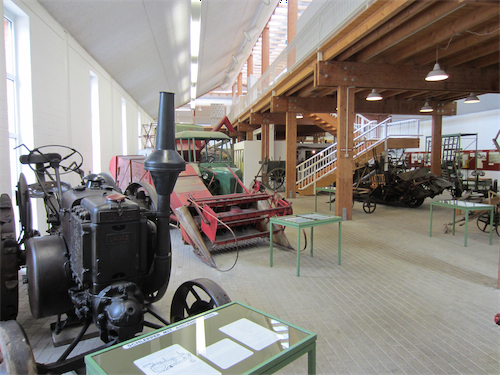 One thing I should state about the Agricultural Museum is that it has nothing in English. 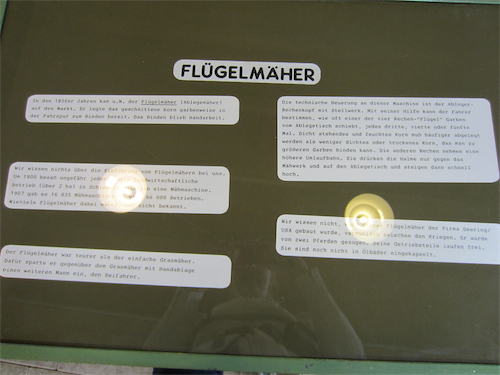 So it was rather quick to walk through because I don’t know enough German to read the explanatory boards or anything. Especially once my camera battery died and I couldn’t take pictures. I walked into the museum and was immediately thrilled. 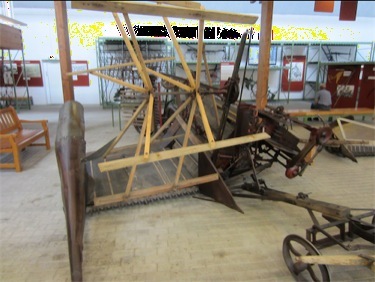 Bunches of old farm equipment. That was really all I could see. Sweet. I have no clue what this is. It looks kindof like a mini-firetruck. Points for cuteness, for sure. An example of the displays. (With my reflection and the ceiling lights…) The text looked like it had been printed on a typewriter or computer circa 1985 and obviously the person setting up the display didn’t know about lining things up with a ruler. But there is something about Deering USA. So I assume they are saying awesome things about John Deere Flügelmähers. Whatever they are. 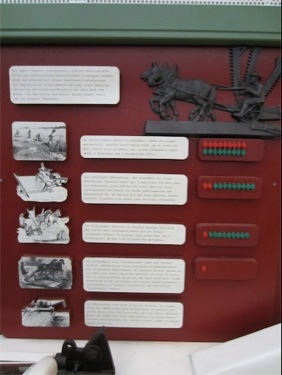 I believe that the goal of this display was to show how many fewer people the newer plowing technology required. New equipment requires fewer people! YAY! I have no clue why there are red people and green people. I can only assume that the red people are not, in fact, dead, because there is one on the most modern technology. But if he were dead, he couldn’t run the plow. So maybe the red people run the plow and the green people are helpers? We shall never know. Long random thing. I have no clue what it is. I took a picture of it so that someone (dad?) could identify it for me. I can only imagine the trouble I would get in attempting to drive this thing. I would undoubtedly get into accidents. Heck, I can’t even walk around my house without getting bruises all over my body. I could do some serious harm with this thing. I have decided, with my infinite agricultural wisdom, that this is what one calls a thrasher. Because it looks like something someone would call a thrasher. It looks like it would thrash. Feel free to correct me. Another long thing. This one confuses me. There is a seat in it, but it looks like it is meant to be pulled. 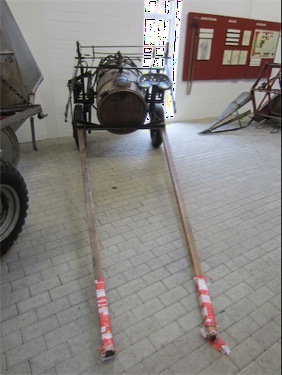 However, I have decided, due the the barrel, that this was meant to do some sort of irrigation. OH. It is going to be pulled by the horses. 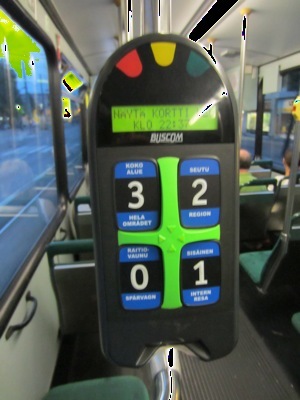 But the driver must control the flow of water, so the driver sits on the seat. Maybe there is another dude on the horse. I hope so. 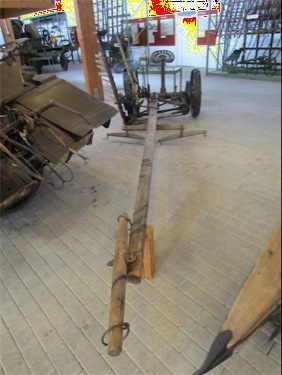 Fact: The Germans don’t still farm with horses. They have big machines. called Junior. 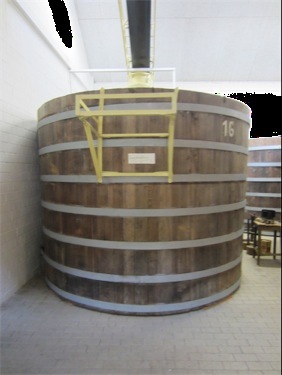 This is a vat for sauerkraut. Thankfully my camera turned on just long enough for me to take it. It is maybe 10 feet tall, 10 feet in diameter. LOTS O’SAUERKRAUT. Then my camera truly died. So you’ll have to put up with my words now. Upstairs there was hay! 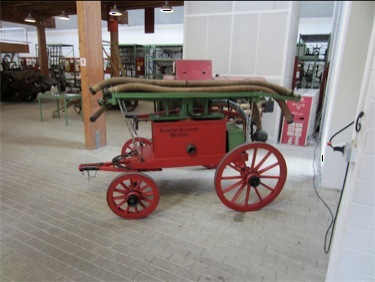 And sauerkraut machines and bread making machines and ovens. Then a photo exhibit of horses. Apparently this area is famous for their horses. I actually watched a video from Lexington, KY of all places from the 2010 World Equestrian Games from the event where horses jump over things in a ring (but not in a circle, if that makes sense…they are not in a field. That is the main thing.) Sadly, none of Isaac’s jumps were in this event, but apparently a Schleswig-Holstein horse placed first! So that was interesting. There were also dioramas of how Meldorf has changed in the past 200 years. Hint: There are still grazing cows in town, according to the diorama (I saw none). When you leave this part of the museum, you go past a rose garden, to the old barn. You can wander around, upstairs, around the old stalls (with a fake horse that in the dark looks freakishly real), and in the house part. Fact: Apparently people used to sleep in closets. Or the equivalent of closets. Basically you pull back a curtain that is flush with the wall and there is a little bed with space for a four foot tall person. I would’ve been in trouble. So that is the museum for you. You really should go to Meldorf so that you can experience it for yourself. 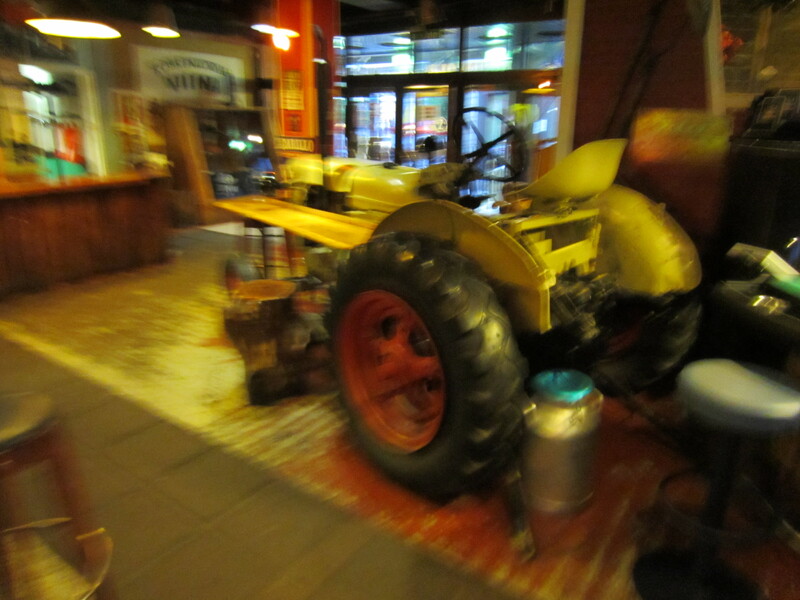 My only regret is that I wasn’t able to (or didn’t know if I was allowed) to climb on the old tractors. That would have been Fantastic! 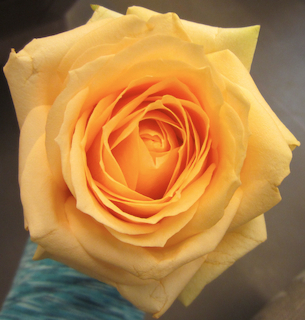 Stalkers do not get flowers from the people they are stalking. Stalkers also do not get chocolates. I know that many of you think I’m crazy. And perhaps I am. But it’s really fun going to small towns and seeing the same people interact with different folks, night after night. Random fact: In Lüneburg and Meldorf, I didn’t hear one native English speaker on the streets. That’s the type of trip I like! Friday night my hotel wasn’t even 50 feet from the concert hall. I went to my room instead of waiting in line for the restroom. I could get spoiled by that quickly. Except that that was my last concert of the trip. Anyways, one of my magical non-medication solutions for migraines is music. I thought I’d written about this before, but I can’t find any record of it. So I write it again. 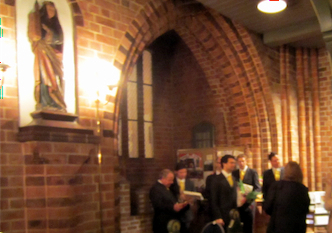 Last night, I was at a fantastic King’s Singers concert. It was in Meldorf, Germany and was at the Cathedral or Dom. It was a HUGE deal, locally. 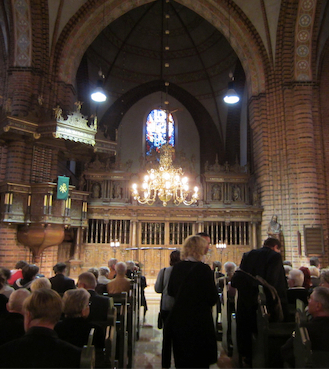 The concert programme was called Pange Lingua and was centered around Gregorian chants and then accompanying music by Bruckner, Duruflé, Gesualdo, and de Victoria. I forget how much I love hearing concerts like that, in the setting they were meant to be heard in. And this picture is just for my mom. Because it was specially requested 🙂 Although it’s a terrible shot. Sorry mom! But that’s not exactly why I’m writing. Although it is in part. Because some of the music, as it was sung, all I could think was “I need to add this to my migraine mix.” Yes, I have a migraine playlist. Right now it’s pretty boring. (In it’s lack of diversity, that is.) Currently it consists of the entire “The Golden Age – Siglo de Oro” album of Spanish Renaissance music from the King’s Singers. The idea behind this music is that it has to be very interesting musically: this almost always means polyphonic choral music. In addition, it should be fairly steady dynamically and also in terms of range. If it is too loud or high, it won’t work in my mix. This generally means that King’s Singers music comes out on top in my mixes. The music has a calming influence on me and is especially good if I am high strung or needing to sleep. On a day like today, it actually doesn’t work very well. There’s too much external noise and commotion. Today, I’m just putting my ipod on shuffle and when a song starts playing that won’t work, I immediately press next. I know that some of the pictures are showing up a bit strange. I should be able to fix that next week. For now, enjoy the essence of the pictures and I’ll try ot make the text worth your while! Danke schöne. I do not “speak” German. Or Swedish, Danish, Finnish, or Estonian. Actually German is the only one I can even remotely handle. And by handle, I mean, squawk like a 1.5 year old. I have a fancy little book that tells me things. It is a “European Phrase Book.” The idea is that if I’m struggling and need to figure out how to say, “HELP! I need to buy a fancy trinket and then could you book me a double room please?” it will tell me. What it is absolutely useless with is the responses. So it explains how to say “I have a reservation.” But the response from the proprietor is going to be “What is your name?” or “What is the booking?” Neither of those two useful phrases appears in my book. So basically the book is useless. Plus I can’t learn things fast enough and the vocabulary is extremely limited, what with it touching on only 10 languages and all. One of the semi-useful things is the list of foods. It tells me the words for beef, carrots, chocolate, etc. This is very helpful for deciphering menus. Sometimes I’ve just randomly ordered things that look good. 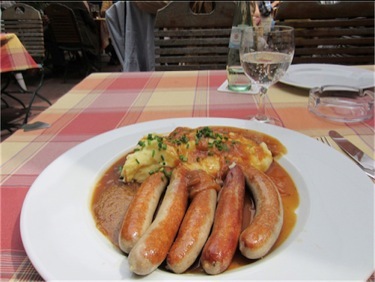 Something that looks like housemade bratwürsts with something or other on the side is bound to be delicious. (Oh, yes. 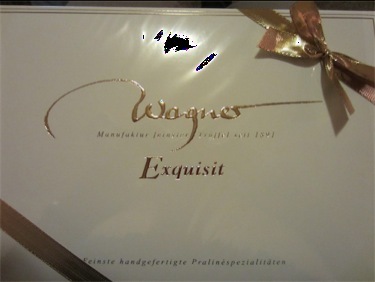 Yes it was.) Especially when it turns out that the other stuff accompanying it is awesome mashed potatoes, covered with carmelized onions, chives, and fantastic gravy. And the best mustard on the planet. Interestingly enough, I’ve had a harder time finding people in Germany who speak English than in Estonia and Finland. Maybe it was because there I didn’t even know how to say “Do you speak English?” in the native language or because I stuck to tourist areas. Almost everywhere I went had English menus and English servers. Here I almost always am deciphering menus in German (OK I did that in Sweden too) and talking to the wait staff (and hotel staff) in German. Which is a challenge given I had 6 months of German in about 1996… But I get by. And I don’t have to start every conversation saying “Sprechen Sie Englisch?” and that makes me happy. 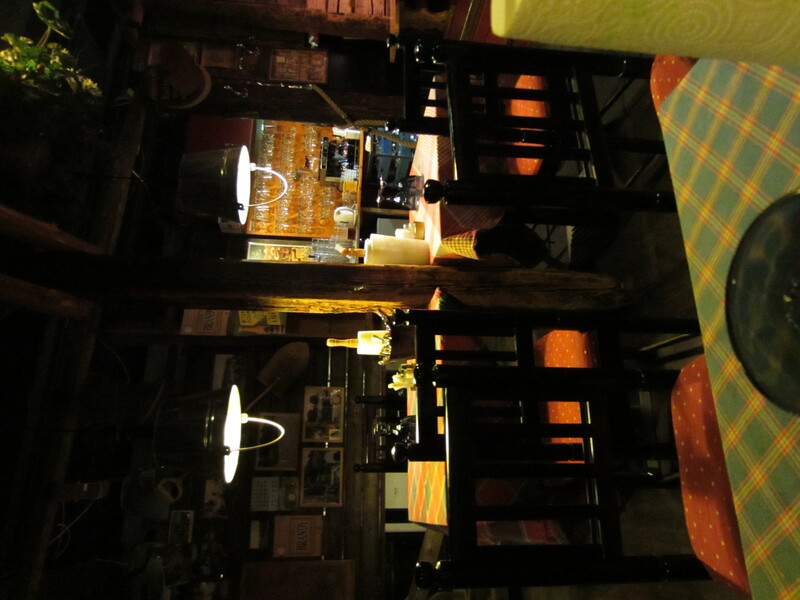 I went to Estonia on Monday. Why? Just because. Actually that’s a lie. I went to Estonia because one of my ministers said I should. And because I thought it would be cool to go to Estonia. I took the ferry from Helsinki which left at 7.30am. Because I didn’t understand how it worked and was getting a headache, I ended up splurging partway through and getting a cabin so I could nap. 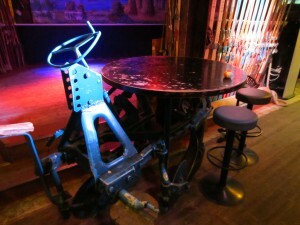 Basically when they say you have a “seat” they mean that you can sit in any of the restaurants or pubs or next to the slot machines. I wasn’t digging that vibe. So I got a cabin and slept. I woke up in Estonia. Not literally, I was still in my cabin. I got lost for a while, as I am apparently prone to do, but then I accidentally wandered upon a place I’d been looking for, City Bikes. 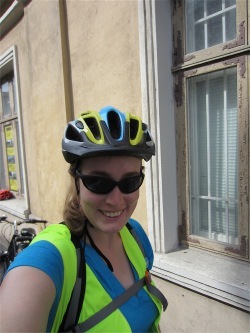 I had planned to do a bike tour of Tallinn and this became an even better idea when my blisters started acting up. But all the brochures had said I had to book an hour in advance, so I was surprised when I walked in at 10.30 and they said I could go on the 11am tour. 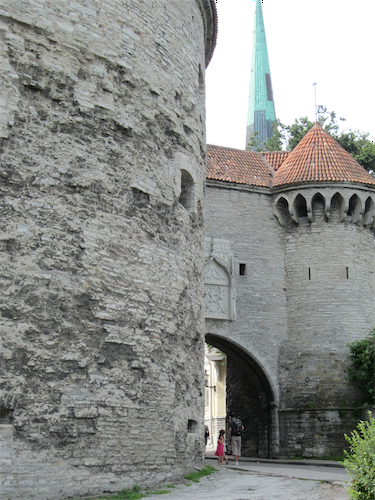 This is also a tour that is either half price or free with the Tallinn Card. I got it half price. I’m not sure why it wasn’t free, but that’s cool. Most of the tourists are in Old Town Tallinn, where the City Bike offices are located. That is because, as the name implies, this section of the town is old. Like über old. The town hall is the oldest town hall in Europe dating from, I think 1347. But, on a bike, you can travel further and see more. Plus who wants to bike in tourist filled cobblestone streets? So we started out looking at some of the sights of Old Town, but quickly progressed. This is Fat Margaret. There are many ideas about how the name came about, but what is known is that this was originally the city’s only defense. The walls are 4 meters thick, but you can see they are scarred with cannon fire. Originally the water came up almost to the base of the tower. 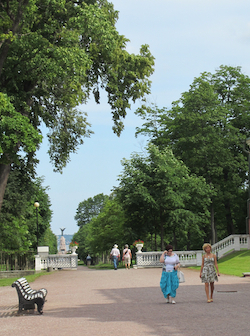 Once we left Old Town, we headed out to Kadriorg Gardens. 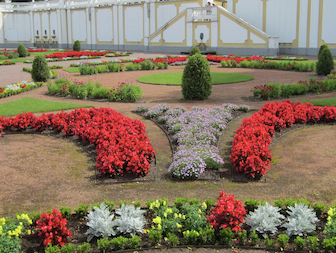 These are gorgeous, Russian inspired gardens with gravel walkways running through them. There is a little doghouse like building to the right of the island in this picture. That is where the swans sleep. 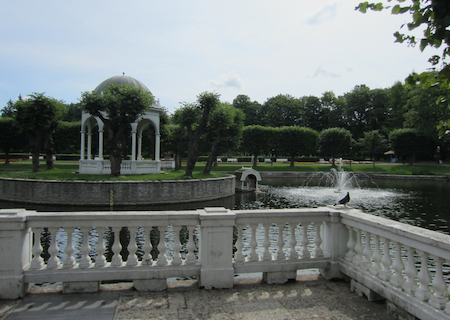 This is Kadriorg Palace. 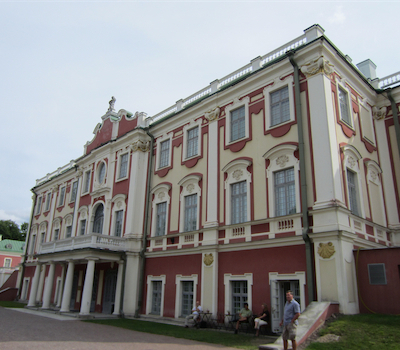 Now an Art Museum, it was built as a Palace for Catherine, wife of Peter the Great. It is super pretty and pink and girly. From here (in front of the palace) you can see the ocean, and a statue we saw close up later. The flowers from Catherine’s garden. 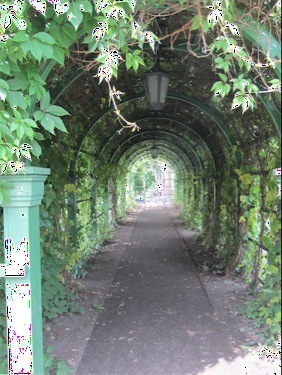 A walkway/arbor. Shady and cool, I decided all sidewalks should be covered with grapevines. It’s really the only way to go. What is this second pretty pink building you ask? 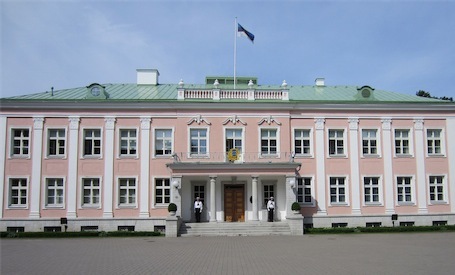 Why, the home of the president of Estonia. And you can tell he’s at home because the flag is up. 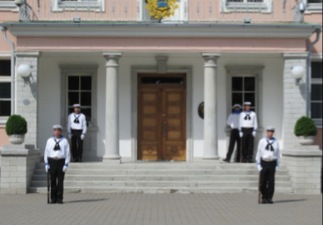 And while there are only two guards and no fences, apparently there are more guards inside. He was also educated in the US. As were the previous two US presidents. Daniel also told us more about Estonian politics, but I’m guessing you don’t care. The back of the Song Festival grounds, riding down to the beach. (Taken while riding…) See here for the front of the song festival grounds. 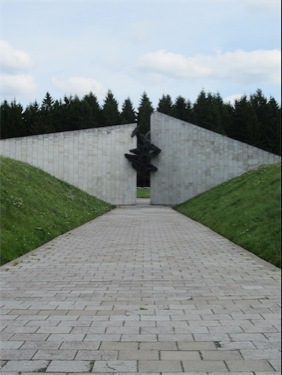 Part of the war memorial for German soldiers who died in WWII in Estonia. They were buried here and then relocated later. 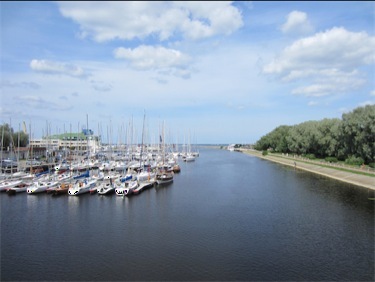 The building on the left is now a spa but was the place where the Olympic Sailing was based when the Olympics were in Russia in 1980. The US and many other countries boycotted though, so no one really cares. Except for the spa part. 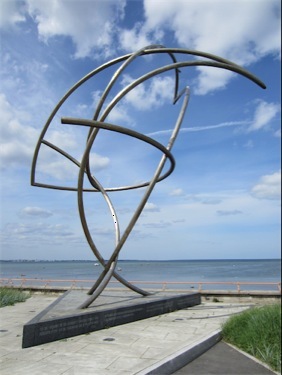 A memorial to something sports related. Like some dude who was famous and died. OH. He was an Aeronaut. His parachute worked, but he didn’t deploy it, so he landed in the ocean and drowned. He was French. 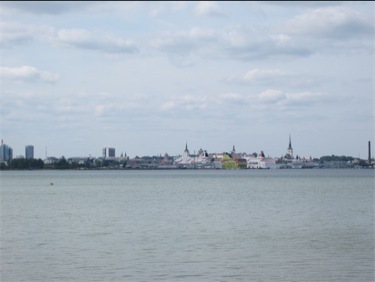 Skyline of Tallinn. Ferries and cruise ships in front of Old Tallinn. When Alaska was sold to the US from the Russians, the Russians went to the US to pick up the money. They sent two ships. One of the ships sunk, killing over 150 sailors. Why did it sink? Because someone left a door open. So all the money was lost, but they made this statue to commemorate it. 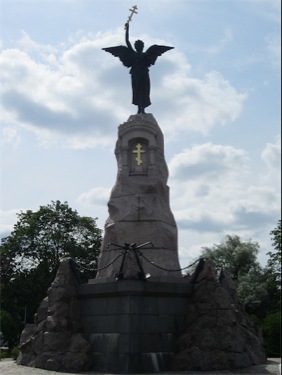 This is the statue you can see from the front of Kadriorg Palace. I had one specific shopping mission for this trip. I wanted to buy a Rajaton album in Finland. Rajaton is a Finnish a capella group and their albums are a) hard to find in the US and b) expensive in the US. So that was one of my goals. But that was apparently too simple for me. 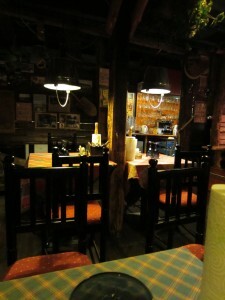 Yesterday I went to Tallinn, Estonia. And I decided it would be cool to have a Arvo Pärt cd from Estonia. Pärt is an Estonian classical composer with a very cool style. I actually got Simon hooked on him last year. But I digress. In order to have a Pärt cd, I needed to find a cd shop. The easiest way to do that was to find the little shopping cart symbol on the map and go there. It turns out the symbol I headed to was a GIANT shopping mall. But luckily they had exactly one cd store. And that store had a plethora of Arvo Pärt cds to choose from. But that cd wasn’t enough. I also decided to buy a cd of the Estonian Song Festival. This is a festival held every four years and can have up to 30,000 singers. 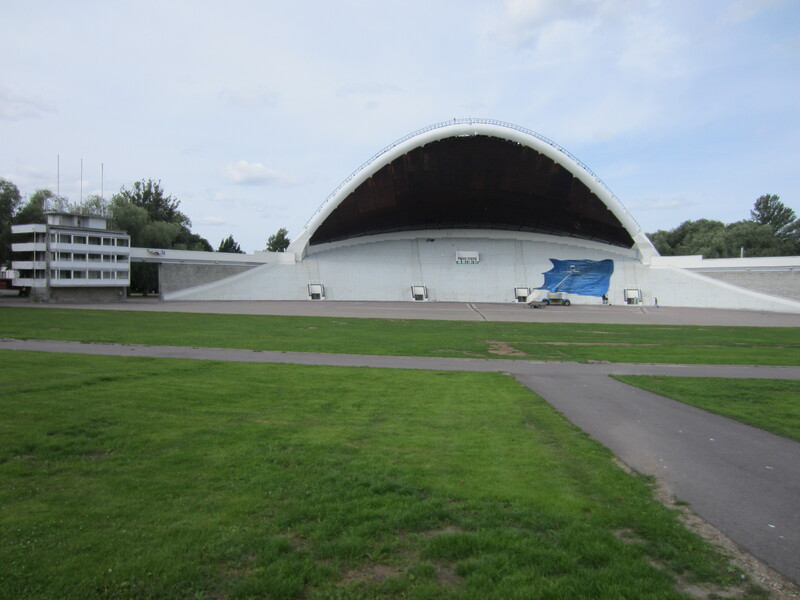 This is the stage that can hold 30,000 people (include the concrete up to the grass). There is, in fact, a giant blue tarp over one section. I don't know why. 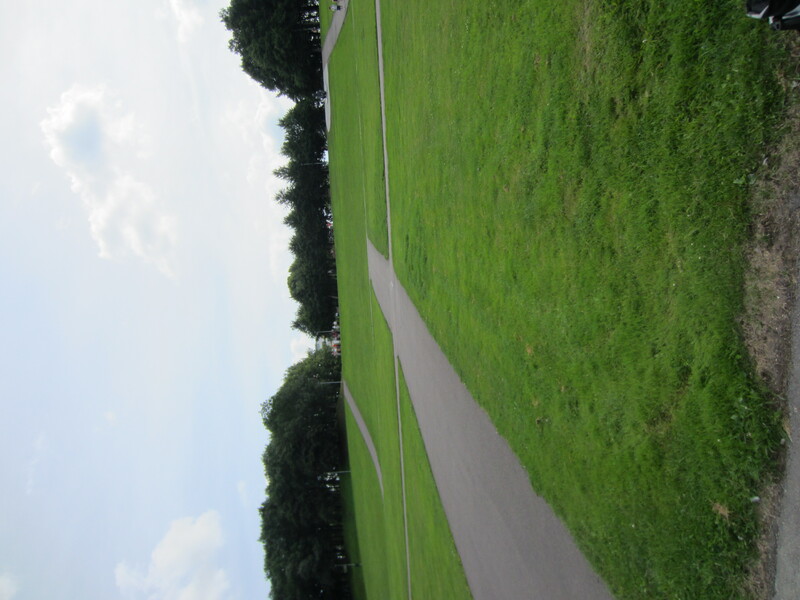 During the Festival there would be benches for people to sit on here. 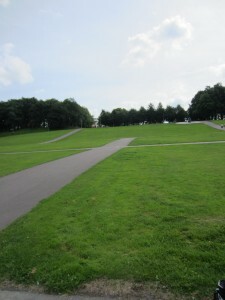 The walkway runs parallel to the stage. Actually my minister and his partner were here at the beginning of the month to see the Young Person’s Song Festival which is held in alternate 2 years. I think it’s the same thing, except with young people. Our 17 year old bike tour guide said he’d performed in an orchestra for one or the other festival six times in his life. I was suitably impressed. Sometimes other things happen there too. “The biggest concerts were Michael Jackson and Rod Stewart.” – Daniel, the tour guide. Apparently Rod Stewart has lots of Estonian fans. But I digress again. If you want to know more about the song festivals, you should probably go to Wikipedia. Cause I really don’t know that much. Anyways. I bought that cd. 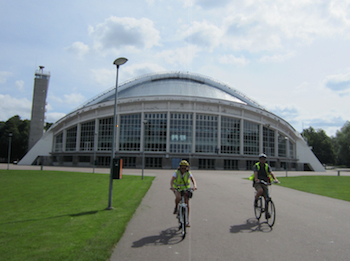 And I came back to Helsinki and it was late, so I couldn’t listen to either. Today I started on my Rajaton mission. After failing to find a record store in not one, but two malls, I headed to what my guidebook called a record shop like in High Fidelity. I asked the clerk/owner? about Rajaton, he said they didn’t have any. But then I felt said inside. So I said, “Do you have anything like that, but maybe more local?” And he lit up. He said, “Let me think about it.” And I browsed. Then he called me over. He found not one, not two, but about 8 records he thought would be of interest to me. “We will just pick them out and then you can listen and find your favorites.” And that’s what I did. Only I listened to only 4. But I bought 3. A women’s a capella original popish album, a women’s Rajaton-ish type album, and a men’s a capella folk album with the most hilarious liner notes ever. “For a while I didn’t like Rajaton, so I don’t keep them in the store anymore,” the guy said. Suits me. I got WAY more out of that than I expected. BUT THEN I went to the department store that he thought would have Rajaton and I got 4 albums for 6.90 euros each. WAY less than they would have cost in the US. 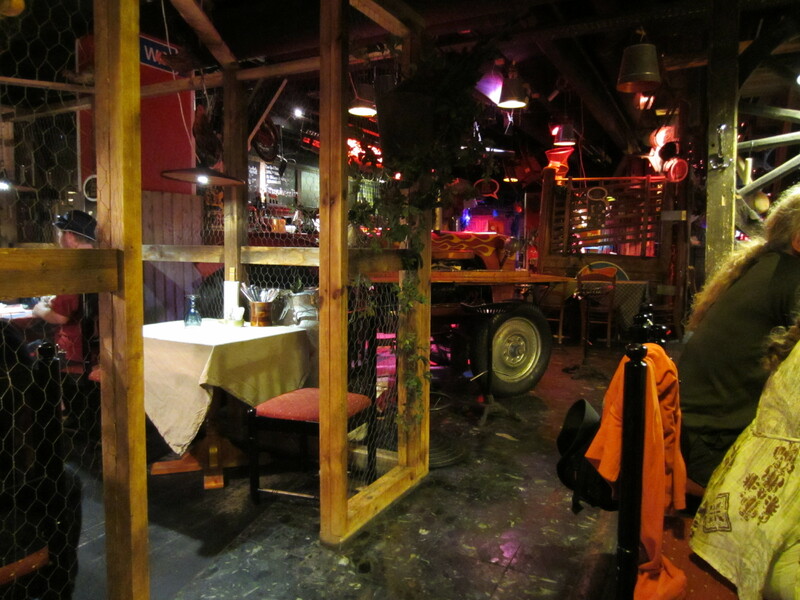 I ate dinner in the craziest restaurant ever. 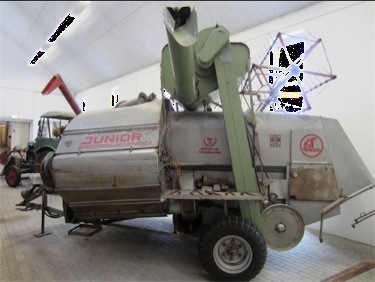 There were tractors in it. Inside. Multiple tractors. And chicken wire. Note that the light shades are buckets and there are rolls of paper towels on the table. What you can’t see here is that in between the wood frame is chicken wire. THAT BOOTH IS BASICALLY A CHICKEN COOP. Also see the tractor behind it. It is covered with racing stripes. I was worried that the BLACKJACK DEALER NEXT TO THE TRACTOR might ask me to not take a picture. 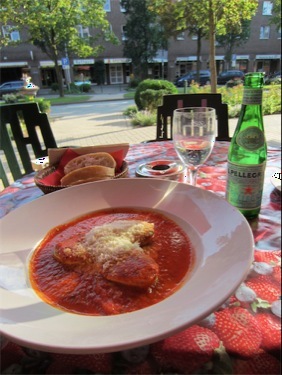 The food was surprisingly good. I learned that when roe are bigger than sushi masago, they pop in your mouth. I also learned that the Finns sure know about Rainbow trout and blueberry pie. And blini. And that the dude next to me thought that all Americans are from Texas or San Diego.